Funding from the FWF enabled an interdisciplinary research group in Graz to look for biomarkers that could already provide indications during the first year of life of developmental disorders such as fragile X syndrome, which are still detected (too) late. The researchers analysed early-childhood vocalisation and movement patterns of children with a definite diagnosis. A vague sense of something being not right with your baby is one of the worst experiences a parent can have. When it comes to rare diseases, the path to diagnosis can become an odyssey, often lasting until kindergarten or preschool age. When parents who have gone through a long ordeal assist research into rare diseases, they save other families a lot of hardship. Peter B. Marschik, director of an interdisciplinary team investigating the developing nervous system at the Medical University of Graz, received support in his research on the early childhood appearance of fragile X syndrome (FXS for short) not only from the Austrian Science Fund FWF, but also from parents' associations in Austria, Germany and the USA. Over the past five years, the scientists of the research unit "interdisciplinary Developmental Neuroscience" (iDN) at Meduni Graz have been studying medical records, parental surveys and family videos in their search for neuro-functional biomarkers for FXS that are already discernible in the first year of life. In the future, they are intended to provide a basis for an earlier specific diagnosis and genetic screening. “We found biomarkers in the phonetic patterns of new-borns and the random spontaneous movements produced by the nervous system during infancy. These early functions are crucial for further development and constitute a kind of training programme for the nervous system. 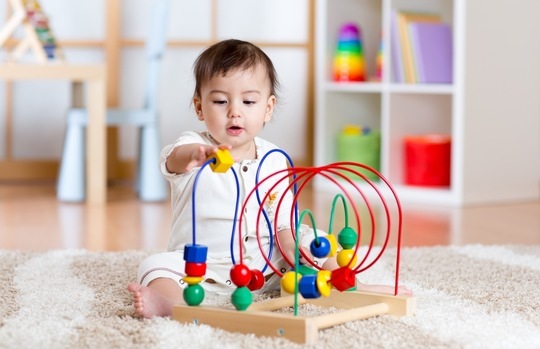 For us, deviation from typical movement patterns and sounds are indicative of a developmental disorder,” says Marschik. The researchers took advantage of the fact that many parents are constantly video-recording their little ones - and shared these private records with them.